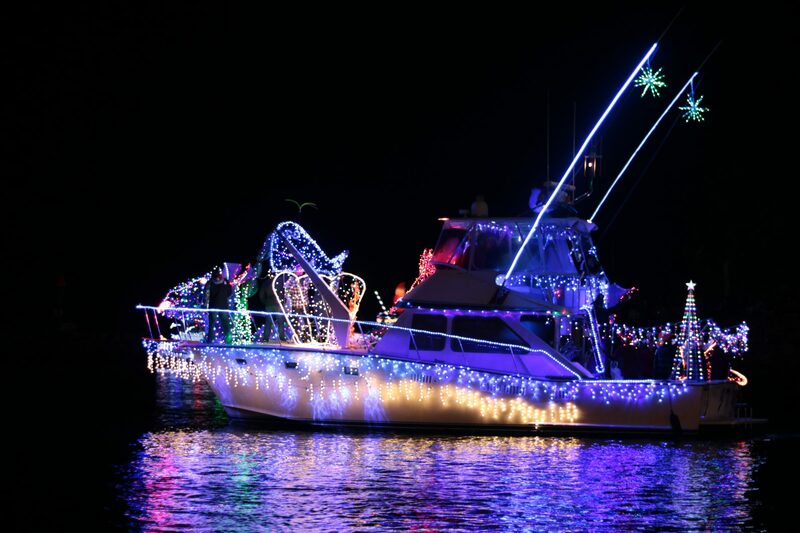 Over the weekend brightly colored vessels floated down the Dana Point Harbor as they participated in the 42nd annual Boat Parade of Lights. This year’s theme was “Under the Sea” which brought in characters like Dori and Hank from Finding Dori, one even played the movie on a projector. Some boats had live and light-up mermaids, one had a moving whale tail, and one even had dancing sharks. The event is a two-weekend event, continuing Friday and Saturday Dec. 16 and 17 at 7 p.m. in the Harbor. Prizes will be given out for Judges’ Choice, Best Theme, Best Use of Lights, Best Animation, Most Colorful, Most Original, Best Sailboat, Best Powerboat and more.